AUMA, the world's leading manufacturer of electric actuators and gearboxes has appointed Instrument Specialties Inc. (ISI) as exclusive rep for the South Florida municipal (water) market. 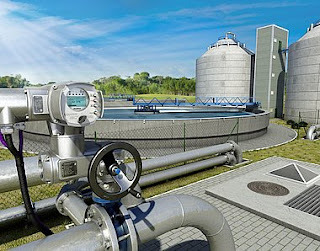 AUMA distinguishes the municipal market as sewage treatment plants, water treatment plants, drinking water distribution, sewage disposal, seawater desalination and steel constructions for water systems to operate weirs and sluice gates. AUMA actuators are ubiquitous in the water industry due to their broad product offering which includes multi-turn, part-turn, and linear actuators, combined with a robust design that includes high corrosion protection, long service life, and low maintenance. For more information, call 407-324-7800 of visit http://isi.group.